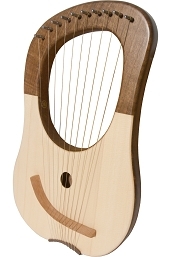 The lyre is a stringed musical instrument well known for its use in classical antiquity and later. The word comes from the Greek (lyra) and the earliest reference to the word is the Mycenaean Greek ru-ra-ta-e, meaning "lyrists". The earliest picture of a lyre with seven strings appears in the famous sarcophagus of Hagia Triada (a Minoan settlement in Crete). The sarcophagus was used during the Mycenaean occupation of Crete around 1400 BC). 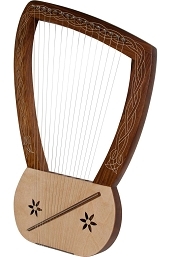 The recitations of the Ancient Greeks were accompanied by lyre playing. 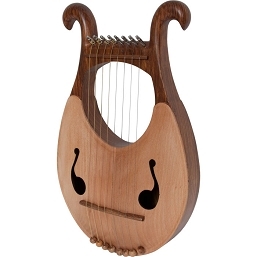 The lyre of Classical Antiquity was ordinarily played by being strummed with a plectrum, like a guitar or a zither, rather than being plucked, like a harp. 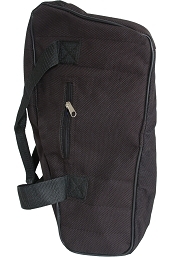 The fingers of the free hand silenced the unwanted strings in the chord. 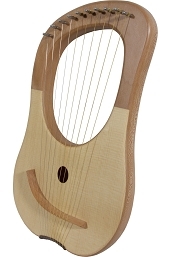 The lyre is similar in appearance to a small harp, but with certain distinct differences. 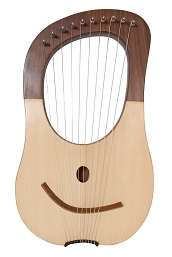 The word lyre can either refer specifically to a common folk-instrument, which is a smaller version of the professional kithara and eastern-Aegean barbiton, or lyre can refer generally to all three instruments as a family.